One of the most beautiful cities of the state of Tamil Nadu, Madurai, has a history of more than 2500 years with it. 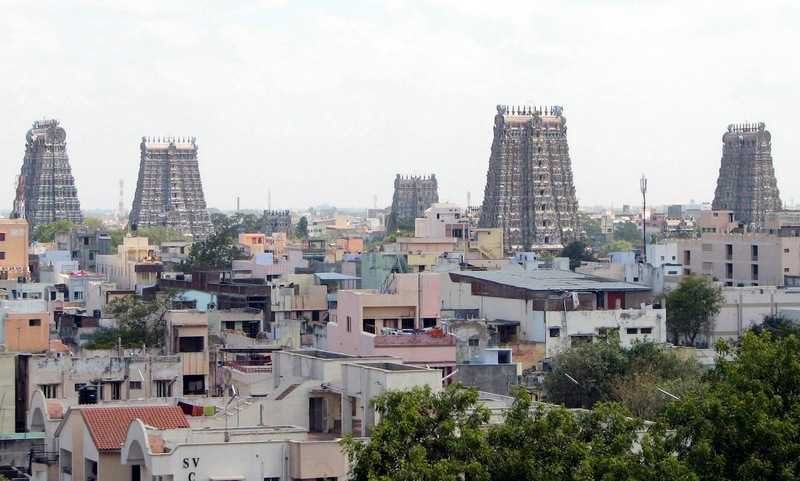 Famous for the Meenakshi temple, the city was ruled by the Pandian kings and finds a mention in many epics, only to prove its age old culture and longitivity. It is referred to in the Ramayana and Kautily's Arthashastra. Megasthenes (302 BC), pliny (77AD) and Ptolemy (140 AD) wrote of "Madurai, the kingdom of the Pandian". Macro polo visited Madurai in 1293 AD. 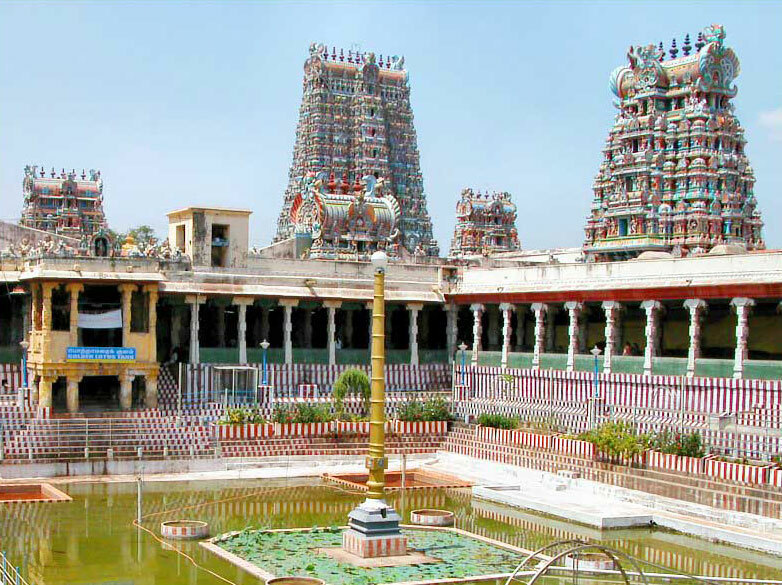 Situated on the banks of River Vaigai, the name Madurai has a beautiful legend attached to it. It is said that one of the Pandian kings, Kulashekhar, built a beautiful temple complex in madurai, clearing the forest. Around the temple he developed a township in shape of a lotus flower. On the naming ceremony of the township, Lord Shiva appeared and blessed the land and its people. As he blessed divine nectar; Mathuram in the local dialect, was showered on the city from his matted locks. Hence the city was known as Madhurapuri. Madhurapuri grew and prospered to become the capital of the Pandyan Kingdom. The Pandian kings encouraged the cultural movement of the town as praise to the Lord. Madhurapuri, later became Madurai and still boasts to be the cultural capital of the state. 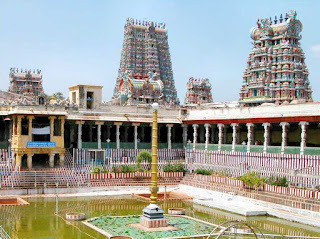 Today along with the beautiful Meenakshi temple it is also famous for the textile mills producing wonderful silk. Location: Located in the southern parts of the state, the district of Madurai is landlocked. Dindigul district is in the north, district of Sivaganga in the east, Teni in the west and the disrtict of Virudunagar in the south. Meenakshi-Sundareswarar temple is located at the heart of the city; the Meenakshi-Sundareswarar temple has long been the focus of both Indian and international tourist attraction as well as one of the most important places of Hindu pilgrimage. It is the hub of the religious and cultural life of the city. Kulasekara Pandya built this pre-Christian era temple. However, it was in ruins before Tirumalai Nayak who brought back the glory to this magnificent structure rebuilt it. The Meenakshi temple is an excellent example of Dravidian architecture, with Gopurams (large gateways) and Mandapams (multi-pillared halls) covered from top to bottom in a profusion of multi-coloured images of gods, goddesses, animals and mythical figures. Spread over six hectares, the temple has four entrances to it. The Rajagopuram on the eastern side is an unfinished structure that has a 174 sq. ft base, and had this tower been completed, it would surely have been the largest of its kind in the country. The eight smaller Gopurams are within the compounds of the twin temples. In the Ashta Shakti Mandapam inside the Meenakshi temple, the sculpted pillars tell the story of the beautiful princess of Madurai and her marriage to Lord Shiva. It was believed that the princess was actually an incarnation of Parvati who came to earth to honour a promise. Shiva came to Madurai as Sundareswarar to marry Meenakshi and the two ruled over the kingdom for many years before they left for their heavenly abode from the spot where the temple now stands. The temple at Palani is one of the six abodes of Lord Subramanya or Murugan. Dedicated to Sri Dandayuthapani, the temple is built atop a 140m high hill and can be reached by either using steps or the electrically operated winch. During the festivals of Panguni Uthiram (March-April) and Adi Krithikai (July-August) Kavadi dancers dance and walk their way from far and near as they flock to the temple in hundreds, often in a state of trance. Situted at 119 km from Madurai. Muslim armies on the rampage brought an end to the royal line of the Vijayanagar Empire paving way for the Nayaks, who assumed royal powers over their principalities, which included Madurai. The city and the dynasty flourished from the 16th to the 18th century. Thirumalai Nayak built this palace 1 km Southeast of the temple. Built in the Indo-Saracenic style, all that remains of this magnificent mansion today are the principal entrance, the dancing hall and the main hall. The main attraction now is the light and sound show in the palace, which depicts events from Thirumalai Nayak's life and also snatches from the ancient Tamil epic Silappathikaram.